Mary Blair’s wonderful designs for ‘It’s a Small World’ formed the basis of one of the most beloved of all of the rides at Disneyland. 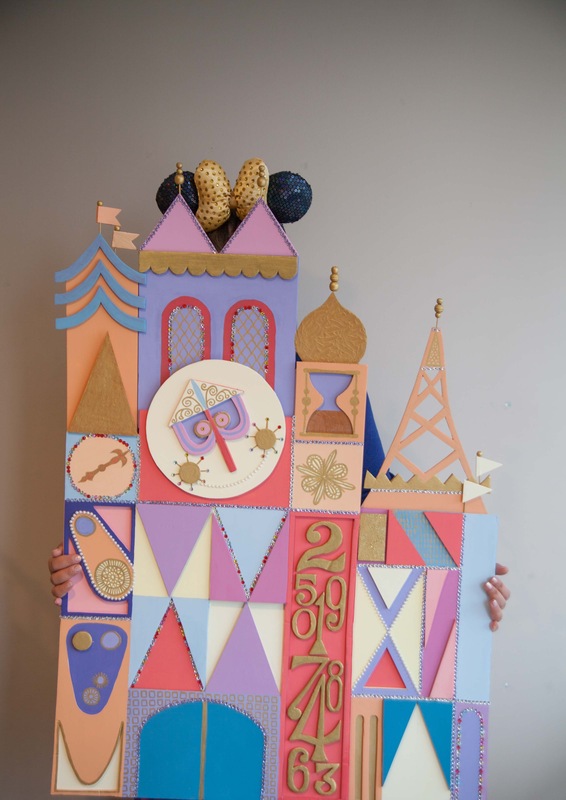 I learned recently, that within Disney Imagineering, the ride is referred to as the ‘Rainy Day Project’ as this was the concept behind Blair’s colourful graphic treatment of the environment – imagining a mother’s cut-paper designs, created to amuse her children during inclement weather. 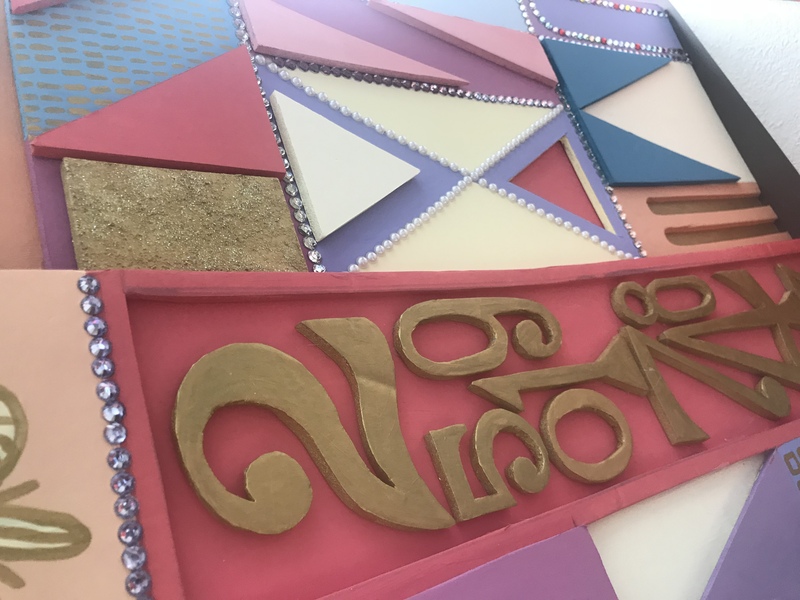 I loved this idea, which inspired me to add to the excitement around our upcoming trip to Disney World by wielding the Exacto-knife and making our own Small World display. I was drawn to the colour palette of Tokyo Disneyland’s version of the ride, but added sparkling gems to evoke the holiday illuminations we know and love from California. The basis is foam core assembled with varying levels, painted in acrylic paint and ink, topped with gilded cocktail sticks and wooden beads.